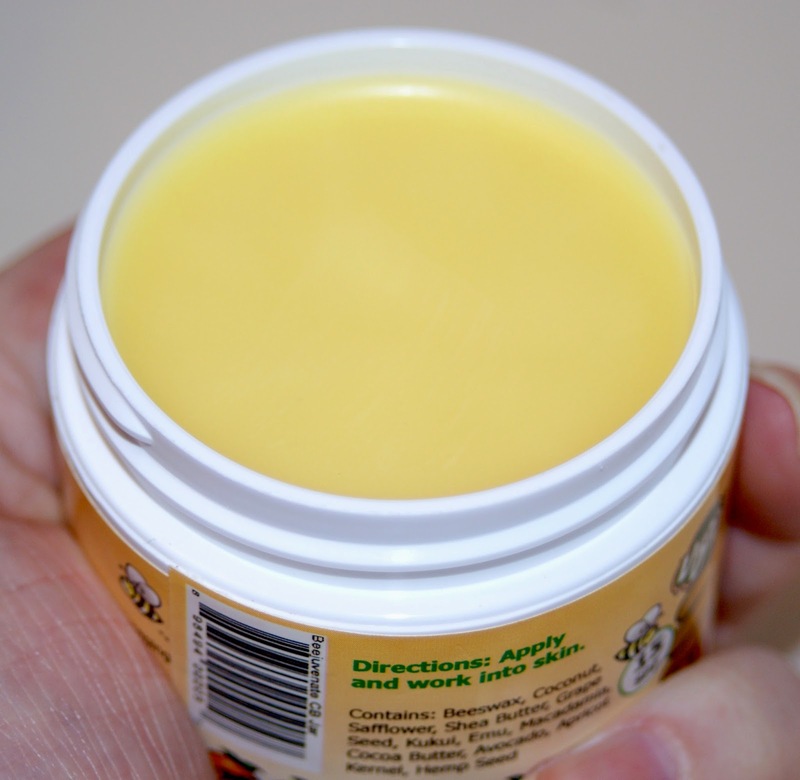 I have a new body product in today's post called Beejuvenate! 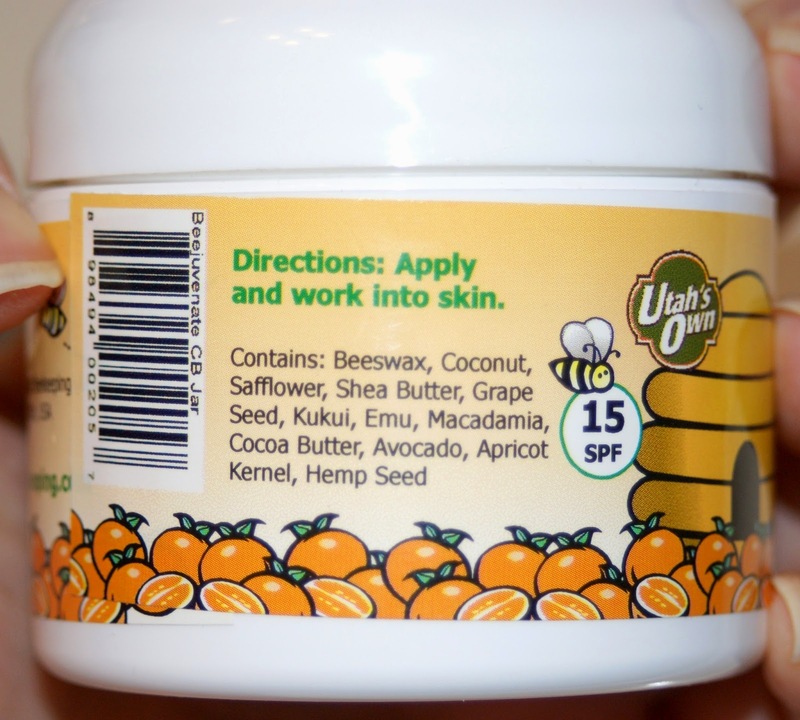 Beejuvenate is an all natural skin balm made from beeswax and a variety of other natural ingredients. There is no alcohol in these products, which makes them even more gentle on skin! Beejuvenate was founded by a pair of beekeeping brothers in Utah who are doing their part to combat the decrease in the bee population, while also creating skin care products for people with a variety of skin issues, including eczema. As you can see, two ounces of the balm still goes a VERY long way! This container is huge! I was sent citrus blast for review and it has a light, pleasant fruity smell. It's not too overwhelming, so people who are sensitive to fragrance. However, there are a TON of other scents ranging from fruity to sweet to earthy to unscented. The balm was a waxy texture that's reminiscent of chapstick. I applied a light pressure to swipe some onto my fingertips. One thing I loved about this balm right off the bat is that it's not very oily. My skin absorbed it very quickly, but unlike Lush Lemony Flutter or Burt's Bees Cuticle Balm, I wasn't left with a slippery residue. However, it was still very hydrating. Another upside is that it doesn't make your skin look slick and oily either. For me, that's a MAJOR plus when it comes to swatching. 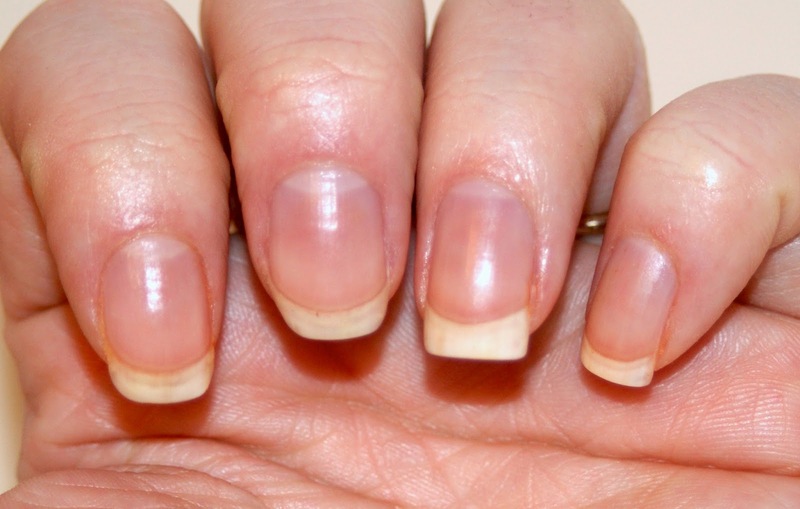 I don't want my nails and cuticles to look dry in photos, but I don't want them to look like I dipped them in a vat of oil either! Overall, this is a product I HIGHLY recommend! It's incredibly affordable at $8.50 for a 2oz jar, which contains a LOT of product and I think it'll last me a very long time. It also comes in more scents than I can list! 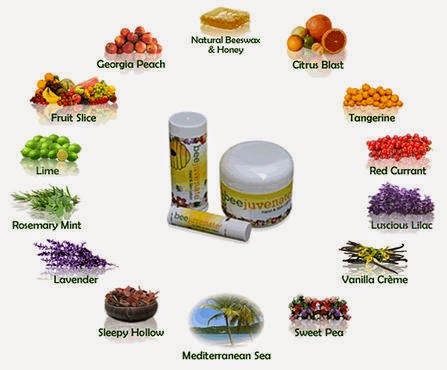 Beejuvenate also offers lip balms (which are equally as hydrating) and hand creams in the same variety of scents. I highly recommend this as a more affordable, but equally awesome alternative to LUSH Lemony Flutter and Burt's Bees Lemon Butter Cuticle Cream. Lemony Flutter costs $14.95 for 1.5 oz and has a gritty residue that makes me feel gross for at least 30 minutes after applying, while the Burt's Bees costs $10 for 0.6 oz and has packaging that is difficult to work with. 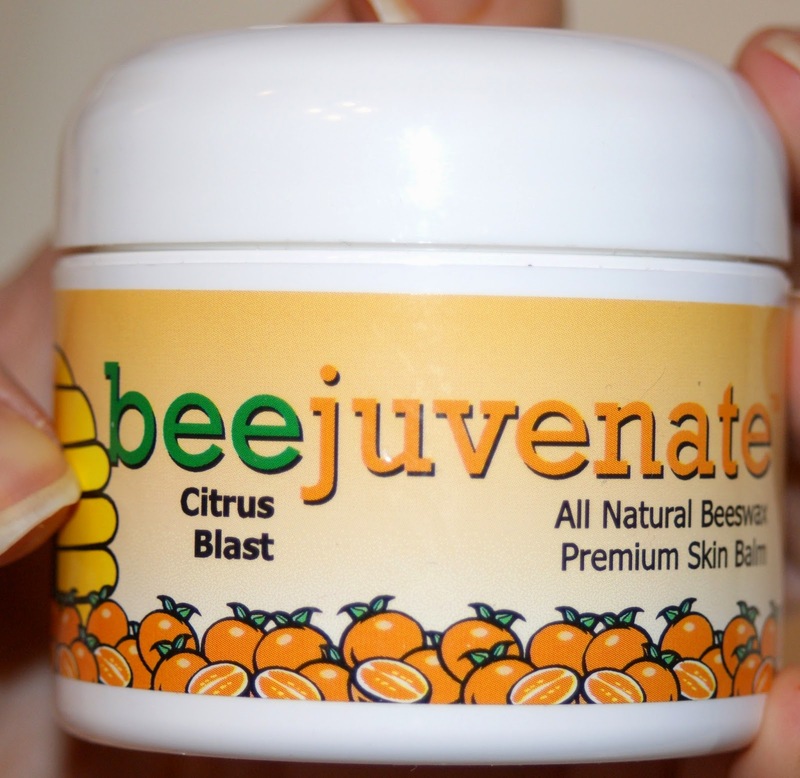 You can purchase all Beejuvenate products online, directly from HQ in Utah! So what do you all think? 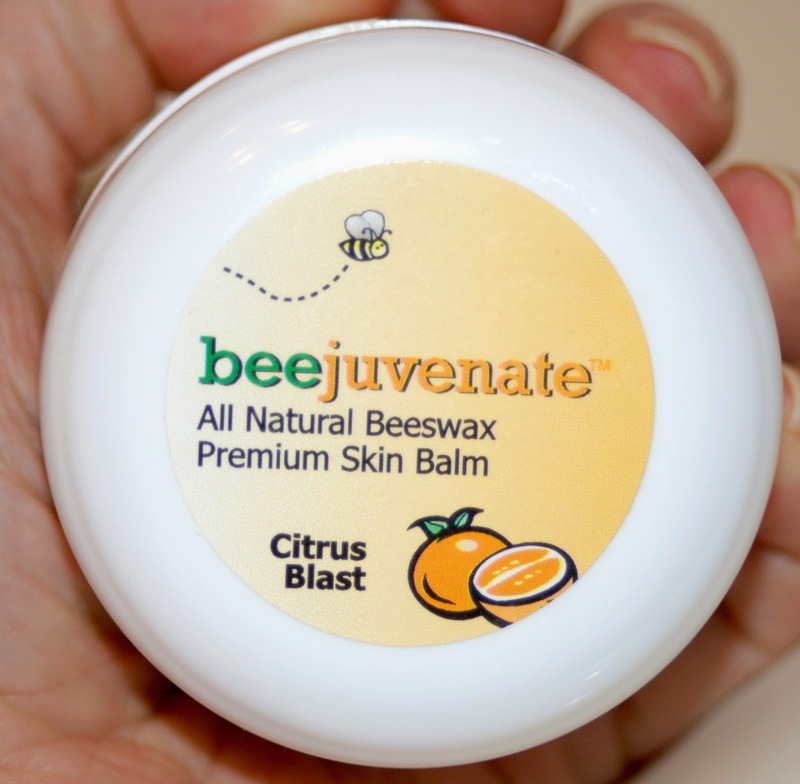 Are you ready to abandon your body balms and hop on board the Beejuvenate Bandwagon? I love that this comes in so many scents! This looks really interesting! I like the range of fragrances to choose from, and I'm always working to find that perfect balance of well moisturized cuticles without looking greasy because of swatching as well. Thanks for sharing! Looks like a great all natural product, just the type I love!